Recently someone reported a broken link on one of our past graphic design resource kits. While finding the item and updating the broken link, I was inspired to re-work parts of several label frames sets that we’ve released in the past. They have had borders added and some other modifications. There are roughly 40 items in this set of royalty free images. These are great for commercial graphic design projects. The kit includes vectors for illustrator, corel draw or inkscape, brushes and custom shapes for photoshop. 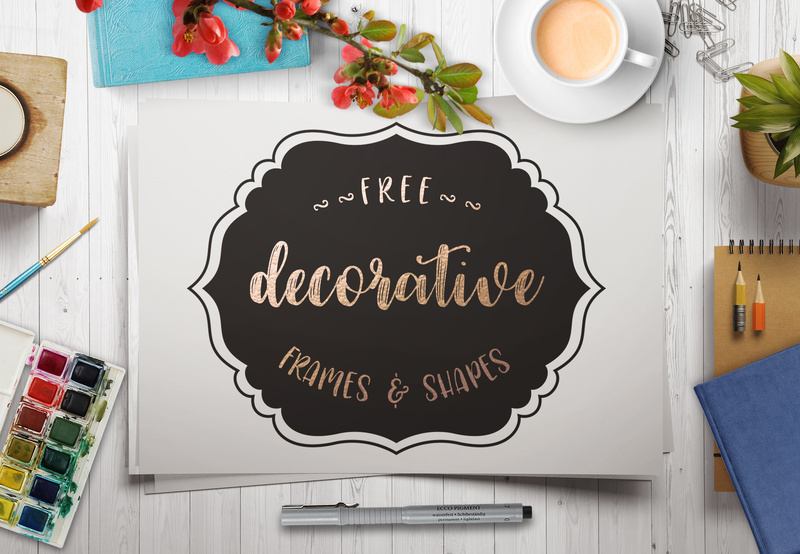 Use them for invitations, greeting cards, mockups, stationary, printables, scrapbooking, decoupage, gift wrapping, tags, planner stickers, party decorations, party favors or even home decor. Hi Su – These shapes are great, love the white border around them. I’m snagging them. Thank you!! I’m so glad you like them Abby! Thanks so much for the comment. Thanks a bunches! You are so generous!